Lately we introduced our idea of sharing Happy Notes which indicate Happy Places with you. We drop these handwritten notes whenever we step into a happiness zone, making us grin the whole time and forgetting any angry thought that weighed on our minds just a few secs before. Simply spoken: A Happy Place can be any place on this planet where we feel inherently and perfectly happy. 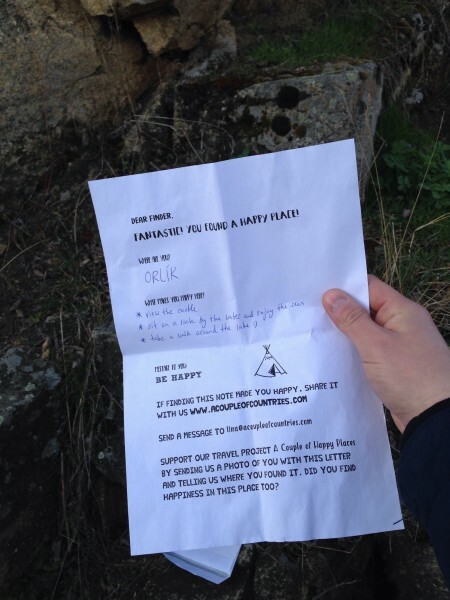 In this article we want to introduce you to our second finders of one of our Happy Notes, we spread around Czech Republic. 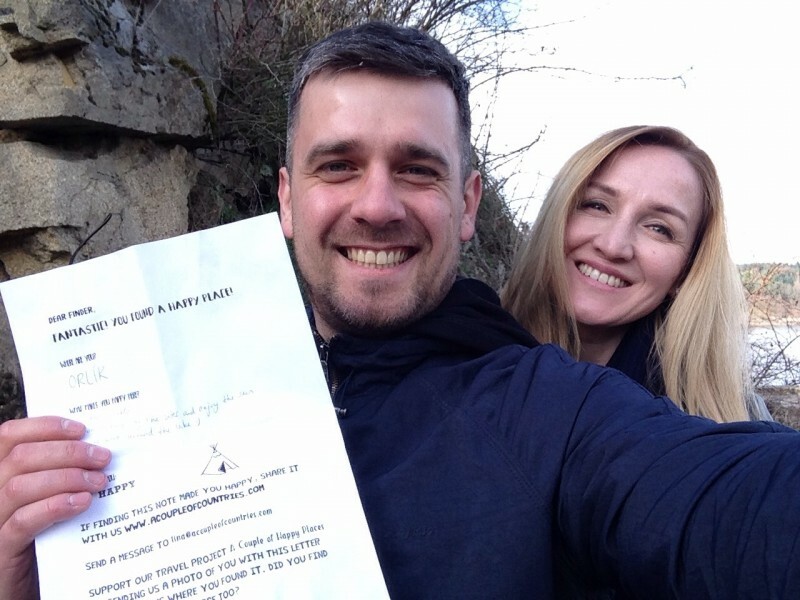 Here you can recap on our very first finders who skyrocketed our new project. Where is the Happy Place we placed the Happy Note in? 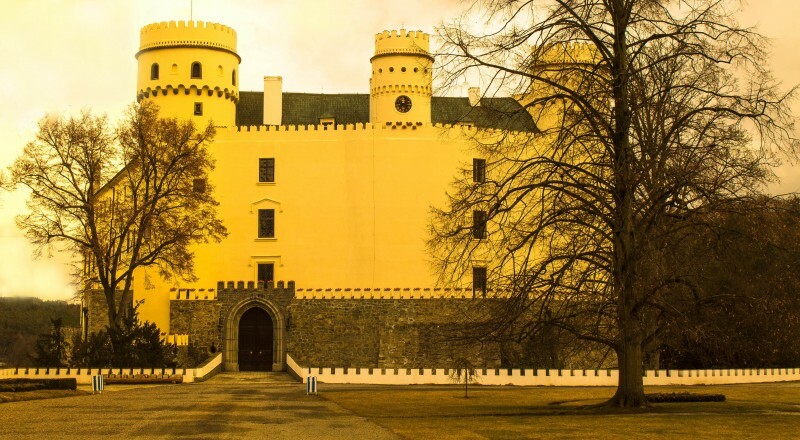 It’s in Orlík, one of the most scenic Bohemian châteaus in the South of Czechia. 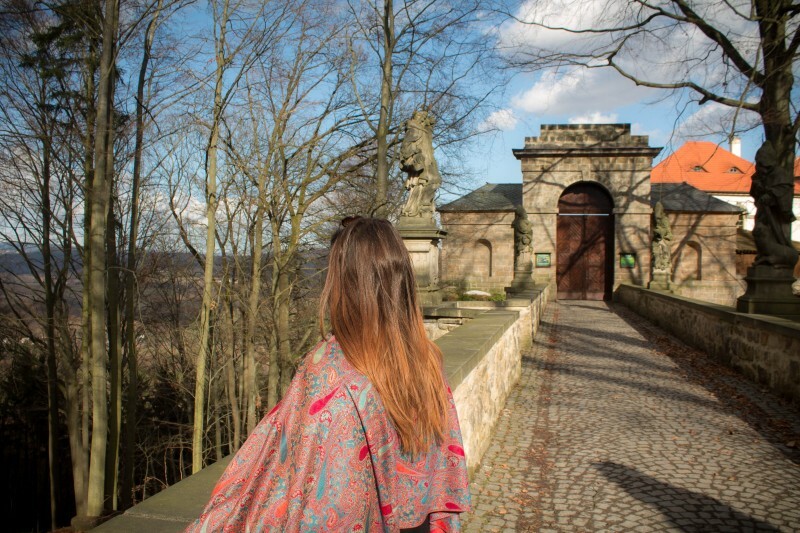 We hid the letter in a cleft in the rock in the vicinity of the surrounding Vltava river which bends here. 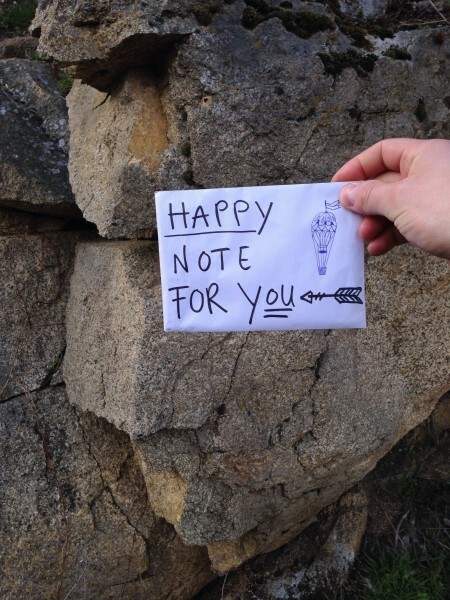 We were firmly convinced that this is the best place to hide the Happy Note. That’s why we were so astonished that we got a reply from the finders after only a couple of days. Who did we make happy with our Happy Note? Dmitry & Sofia from Czech Republic who were visiting the Chateau in Orlík. Why did we drop a Happy Note there? You will find the major points on the photo below, shared by our two finders. What makes us happy in Orlík? Thank you Dmitry and Sofia for sharing your happy moment in a Happy Place! We’ll keep you updated about our next lucky finder or better: how about if you share your personal Happy Place with us?